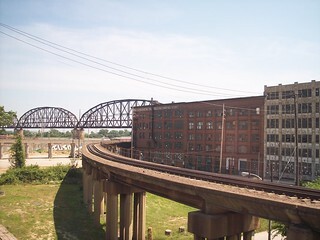 Heading southeast out of the station at St. Louis, the tracks split. 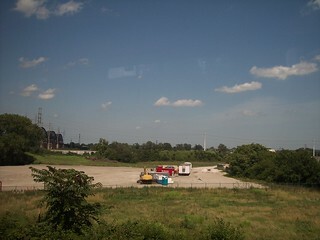 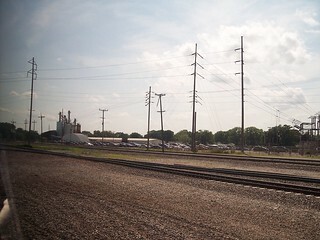 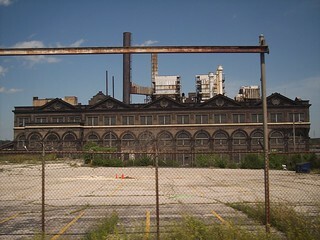 These photos were taken from a Lincoln Service train as we headed toward the riverfront in St. Louis. 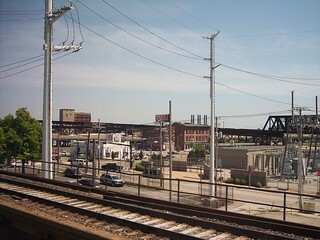 On our trip on the Texas Eagle a few years earlier, we arrived into St. Louis via the tracks in the distance. 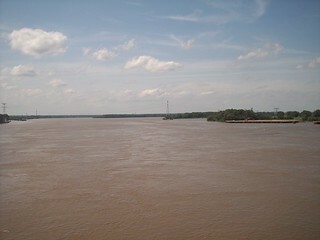 As we approach the river we enter a wye where our Lincoln Service train heads north along the river. 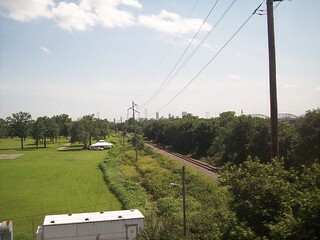 Our Texas Eagle train crossed the MacArthur Bridge in the distance. 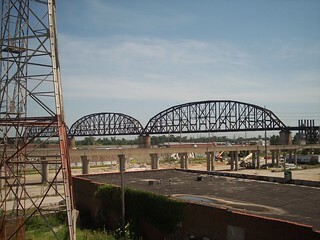 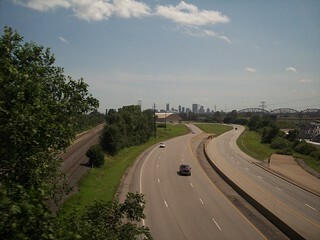 The MacArthur Bridge also carried US 40 and US 50 at one time on its upper level. 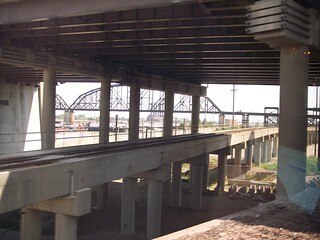 The upper level roadway was still in place but unused when we crossed on the Texas Eagle, but the roadway has since been removed. 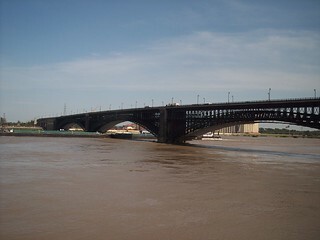 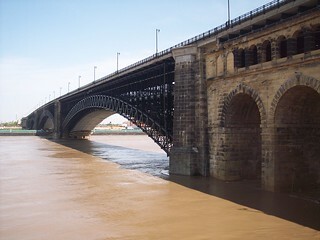 We pass under the Eads Bridge, which now carries the light rail trains across the river. 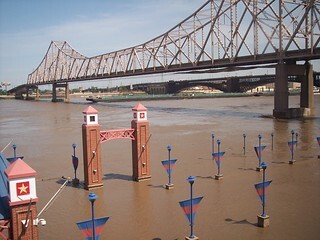 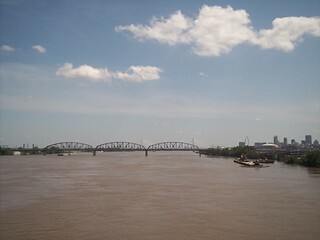 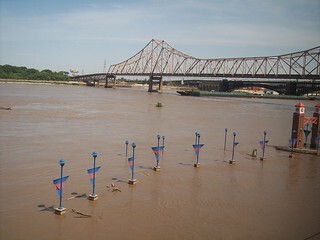 The Mississippi River was flooded when we took our Lincoln Service trip. 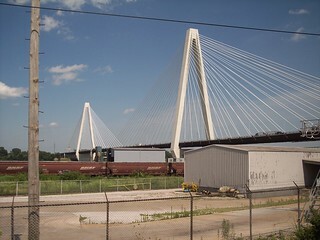 We pass the modern Stan Musial Verterans Memorial Bridge. 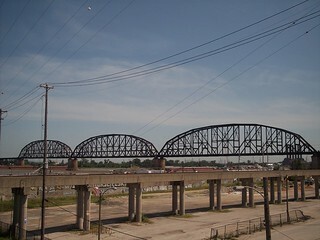 Our Lincoln Service train crosses the Mississippi River via the Merchants Bridge. 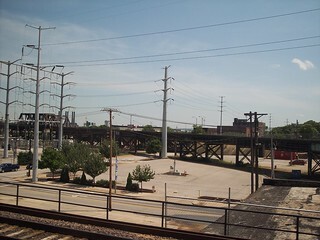 We see the tracks that lead back to the MacArthur Bridge.